WOW!!! LOADED with every option available!! The Legendary King Ranch with the powerful 3.5L EcoBoost. Clean history and absolutely IMMACULATE! 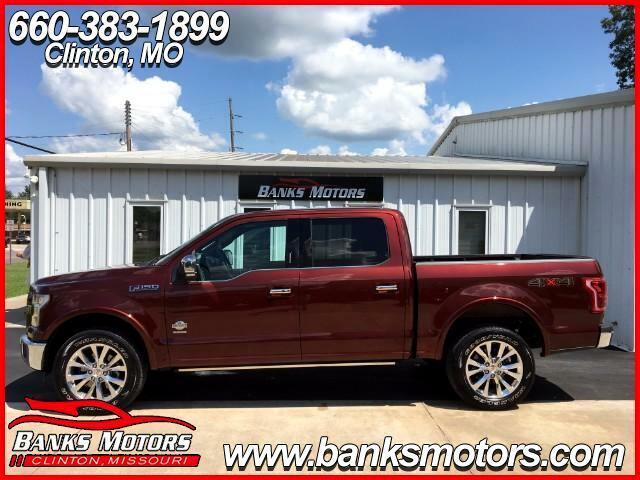 Heated and Cooled Leather, Heated second row, Navigation, Panoramic Sunroof, Blindside Alert, Backup Camera with Front and Side view, Sony Audio controls, 20" Chrome King Ranch wheels, Adjustable foot pedals, Electric fold down steps, AC 110V 3 prong outlet, Heated steering wheel, Dual climate control, Dual power seats, Steering wheel audio controls, USB plug in with SD card slot, Push button strart, Spray In Liner, LED bed lighting, Sliding rear glass, Bluetooth, King Ranch chrome package and tons more!!!! You Won't find one cleaner than this! !